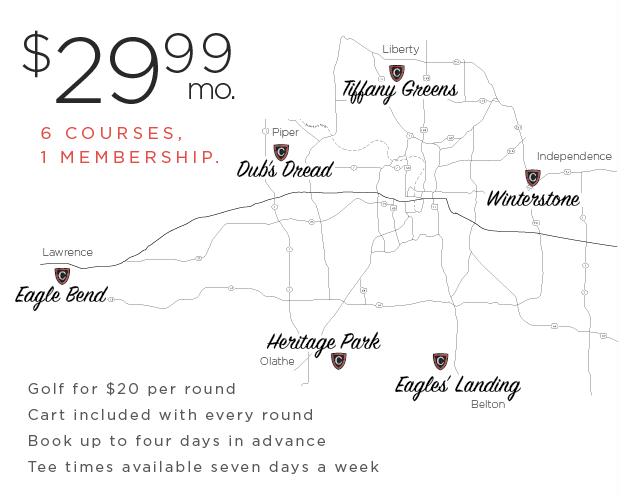 Interested in a course membership at Eagles' Landing? 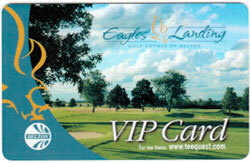 Eagles' Landing offers great membership packages to suit your needs! All memberships are good for one year from date of purchase. For prices, discounts, and benefits, see one of the available membership packages below. For those individuals who love to play golf year-round, the Platinum Membership program is just $1,350 plus tax. Payment options are available and can be structured to fit your budget. In addition, you can become a Platinum Plus member and receive unlimited cart rentals for an additional $400 plus tax. Weekday golf at an unbelievable price! The Gold Membership is just $900.00 or include your spouse for an additional $400.00. Become a Gold Plus member and receive unlimited cart rentals for an additional $400.00, or $600.00 for husband and wife. Add unlimited range privileges for another $150 per person. Join today and enjoy $20 golf at all six premier courses, cart included. Sign up for our newsletter to get the latest news and promotions.